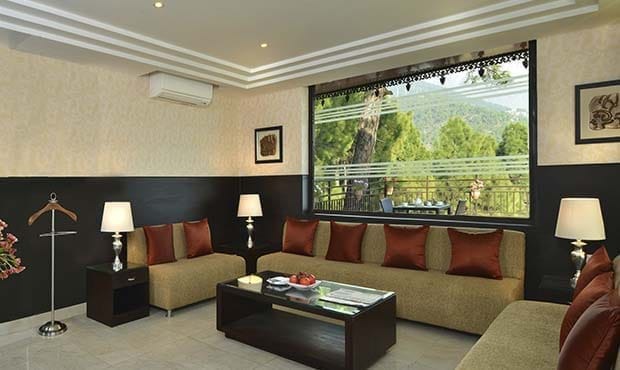 Fortune Park Moksha features 59 well-appointed rooms, including 36 Standard Rooms, 20 Fortune Club Rooms and 3 Suites, offering a breathtaking view of the surrounding mountains and the valley. The rooms are spread across three blocks: White Mountain Block, Riflehorn Block and Christmas Block, each with its own charm and offering an ideal retreat for travelers looking for relaxation and peace. 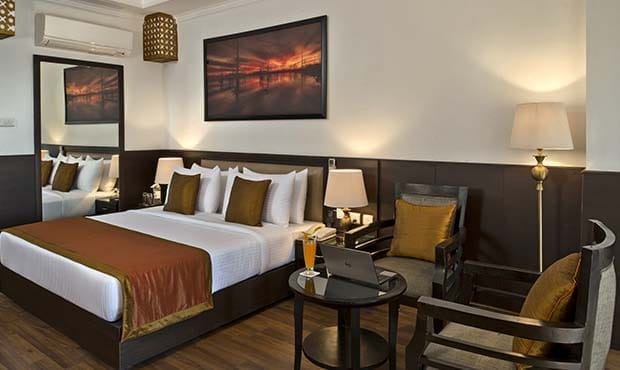 Tastefully decorated contemporary rooms designed in warm and soothing hues; with option of either queen-sized or twin single beds. 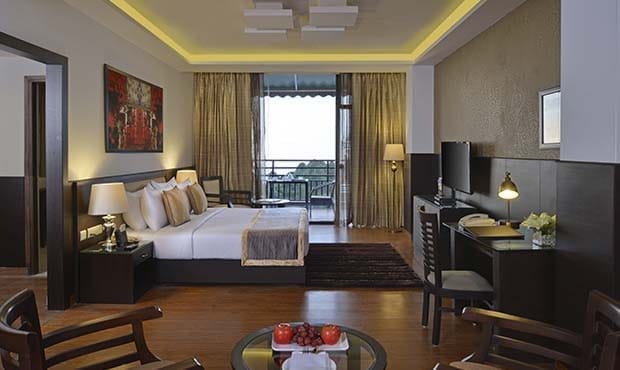 The Fortune Club Rooms come with an awe-inspiring view of the valley from the extended balcony. 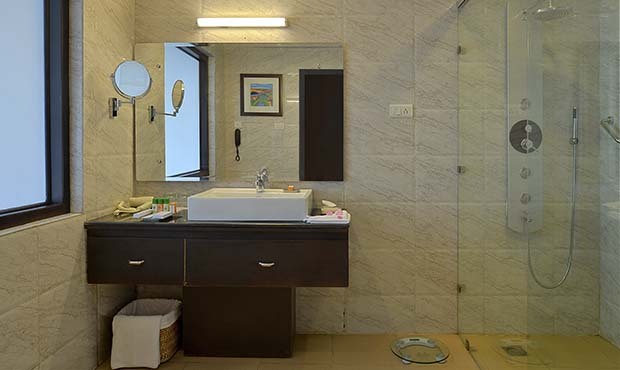 Spoil yourself in our modern Suite featuring a queen-sized bed, lounge sofa and en suite bathroom. There’s a spacious balcony providing a breathtaking view of the valley and pool. Enjoy the tranquility and comfort with the entire family! The Suites provide comfort of home to make your stay more enjoyable with a king-sized bed, en suite four fixture bathroom, and a separate living & dining area. 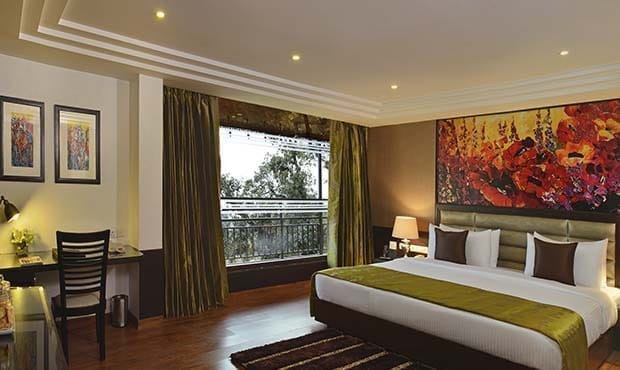 The spacious Presidential Suite provides an unobstructed view of the snow-capped Dhauladhar mountain range, pine forest and comes with a private terrace.